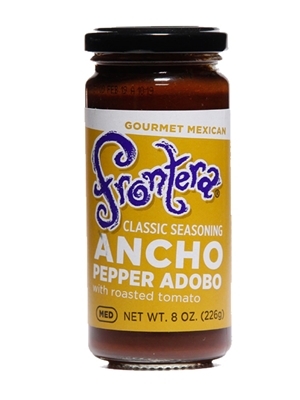 The sweet and smokey complexity of ancho peppers prove to be super versatile when blended with roasted tomato and garlic adobo sauce. Great for quick-seared enchiladas and sumptuous stews. Ingredients: Ancho chiles, filtered water, roasted tomato, onion, tomato paste, garlic, organic distilled white vinegar, evaporated cane sugar, salt, oregano.